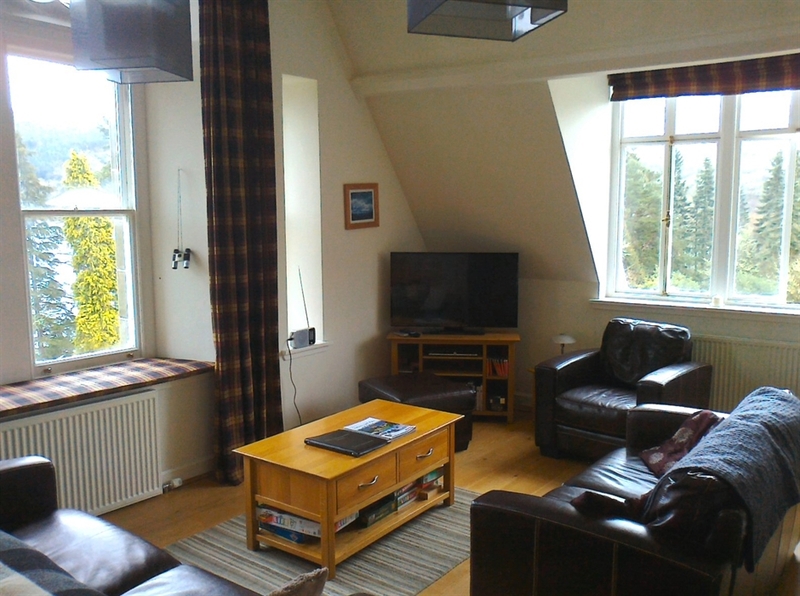 Gruinyards is a beautiful top floor apartment in the historic Abbey at Fort Augustus, on the shores of Loch Ness. It has stunning views along the Loch from the living room window while the bedrooms looks out over the cloisters and Borlum Hill. Recently converted and retaining many original features, Gruinyards sleeps up to 6 people. Midway along the Great Glen Way, it makes a perfect base for exploring the Scottish Highlands. Automatic discount of 15% for any new booking made that's due to start in the next three weeks! 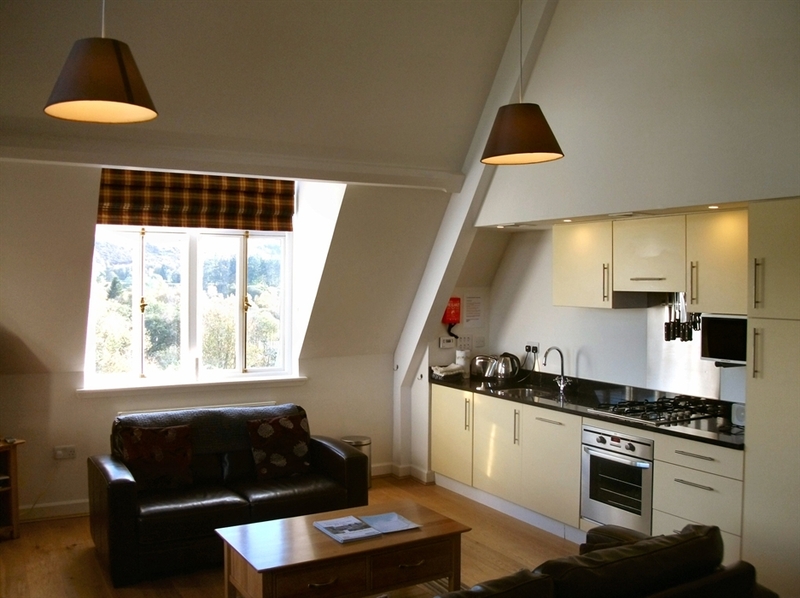 Short breaks (minimum 2 days) now available - arrive any day of the week. 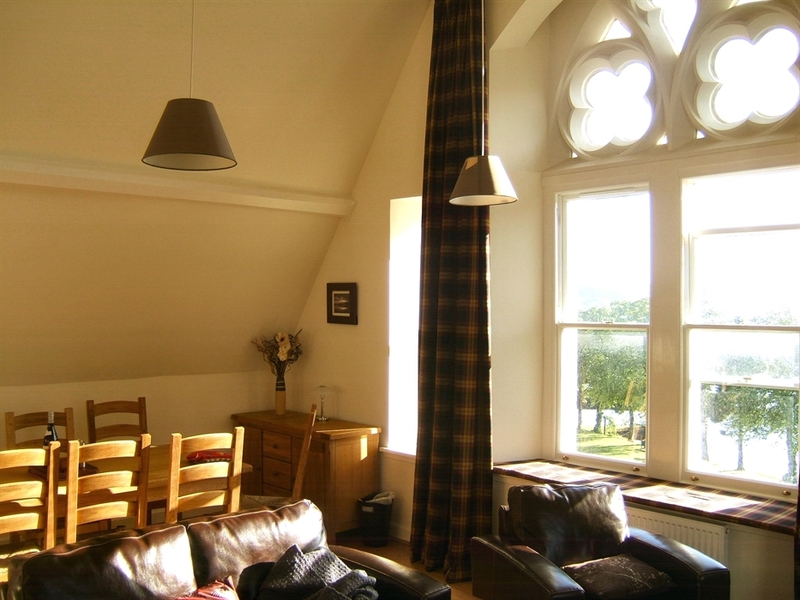 It is located in the old Monastery building in the historic Abbey at Fort Augustus and enjoys perhaps the best views of the Loch available from any holiday property. The former Benedictine abbey site in 17 acres of grounds on the shore of Loch Ness, nestling between the Caledonian canal and the river Tarff. On the third floor, Gruinyards has windows and views on three sides and, when the weather permits, enjoys uninterrupted sun throughout the day. It also benefits from all the facilities of The Highland Club, including the lochside gardens, tennis, croquet, fishing, a resident's lounge and games room, and the freedom to roam the wonderful buildings of the abbey. Within the apartment there is a large open plan living-dining room with high sloping ceilings and a huge stone window that gives stunning views right along Loch Ness. There are also views over the hills to the east and the abbey cloisters to the south. The living room has a fully equipped kitchen area and an oak dining table that can be extended to seat 8. There is a large TV and a wide range of DVDs, as well as a selection of games, maps and guide books. There is also Wifi internet provided in the apartment and an ipod dock for music. 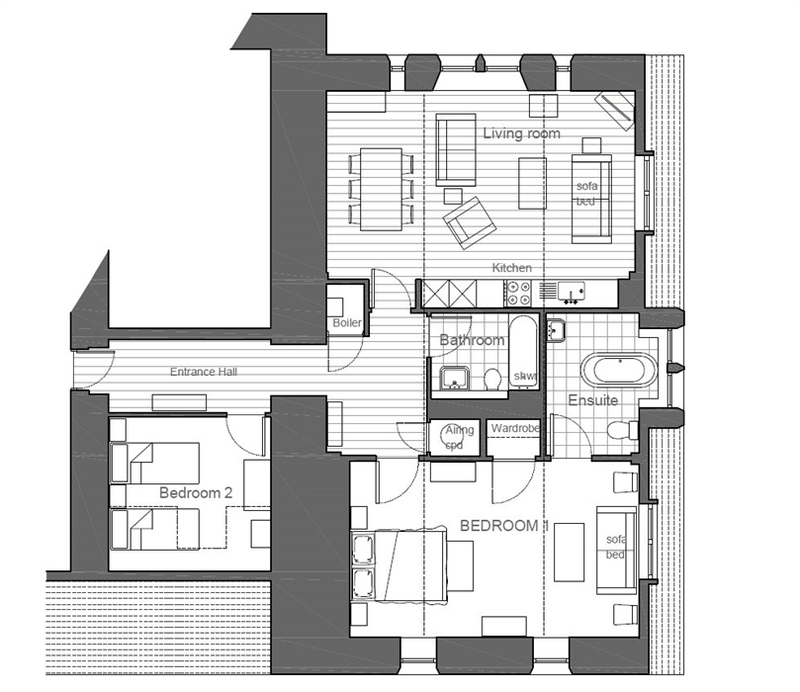 There are two bedrooms: a very spacious principal bedroom which also has high ceilings and views on two sides. It is beautifully bright and airy and boasts a magnificent en-suite with a roll-top bath overlooking heather clad Borlum Hill. 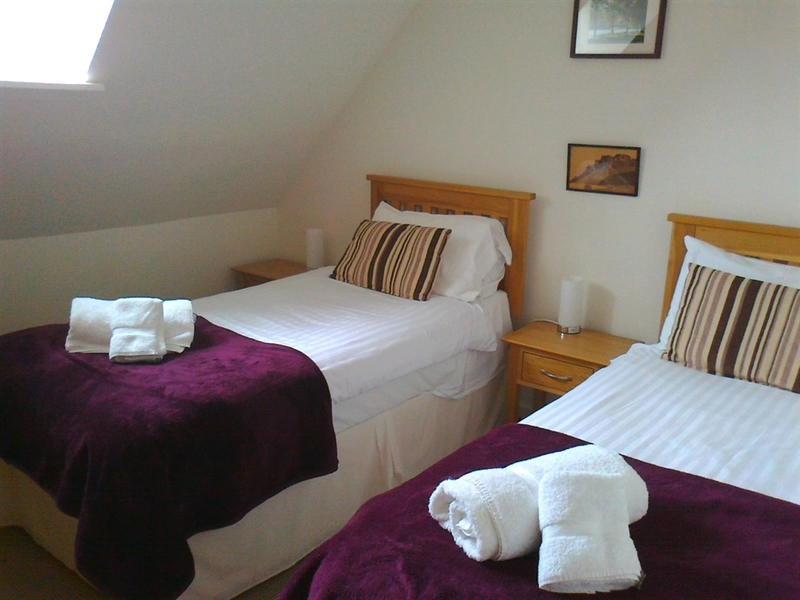 There is also a very comfortable and cosy twin bedroom, a second bathroom and a double sofa bed in the living room. However we now also have an inflatable double Aerobed (it has an electric pump and adjustable firmness which makes it extremely comfortable) available in the principal bedroom so that this can be used as a very convenient family room. As a guest at the apartment you can also make use of all the facilities of the Highland Club. As well as being able to wander around the amazing Gothic abbey and cloisters, there is tennis, croquet, a barbecue area and fishing in Loch Ness all available in the lovely lochside gardens. Then there is the residents' lounge and games room with Wi-fi, snooker, table football and table tennis available. 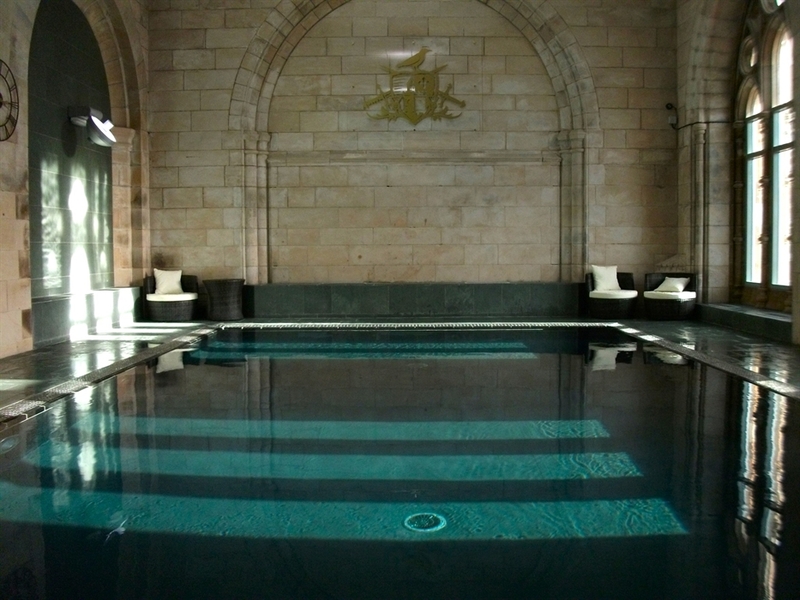 And, fantastic news, the swimming pool and spa are finally open, offering swimming, steam room and sauna in the magnificent setting of the old abbey church with its stone arches and columns. In addition activities such as archery, clay-pigeon shooting, fishing lessons and tomahawk throwing can all be provided in the grounds. The apartment is ideally located, not only for Nessie spotting and exploring around Loch Ness, but also for climbing Ben Nevis, stunning walks in the Glen Affric and Glen Nevis nature reserves, dramatic waterfalls, the romantic ruins of Castle Urquhart or cycling the Caledonian Canal. Inverness and Fort William are both less than an hours drive away while Skye is just over an hour away. However much of the time you may just want to relax looking at the view and taking in the wonderful surroundings. Between April to October the booking system is set up for 7 night stays and Saturday arrival so please email Gruinyards@gmail.com or call Jonathan Norris on 01320 366739 or 07720 388977 to discuss shorter stays or different arrival days. However for the rest of the year we can take short break bookings and any day starts as a matter of course, although the booking system again may not be able to offer these automatically. 20% reduction for last minute bookings - any booking due to start in less than 4 weeks. Please contact Jonathan Norris on 07720 388977 or email gruinyards@gmail.com to make the booking at the last minute rate.